Holiday season is a time for family and friends to come together. What better way than to bake? Everyone around the globe celebrates the holidays in unique ways, with fun customs like decorating trees, lighting candles and eating special desserts. It’s a great time for us to catch up with loved ones and spread holiday cheer. If you have a sweet tooth, even better. CSUF students shared their cultures’ favorite holiday sweets. From jelly donuts to cassava cake, here are three decadent treats you can make with your friends and family this season. A Jewish classic. If you don’t find it at a Hanukkah table, something is wrong! 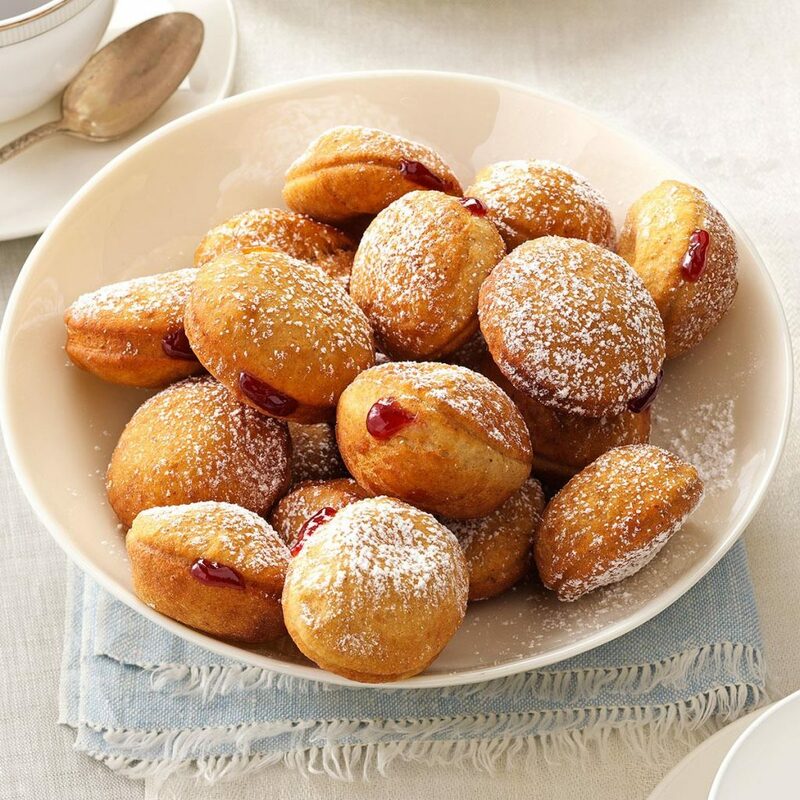 These jelly-filled donuts remind us of the Hannukah miracle of oil that burned for eight days instead of one. This recipe is adapted from Celebrity Chef, Molly Yeh, a Jewish food blogger featured in The Food Network. Leave dough at room temperature for 20 minutes. Heat stove to medium-high. Fill a pot with 2 inches of oil. Fry dough on both sides to deep brown, until not doughy. Transfer to paper towels to blot excess oil. Coat with powdered sugar. Using a squeeze bottle, add strawberry jam or other flavors. Wish someone Jewish a Happy Hanukkah! 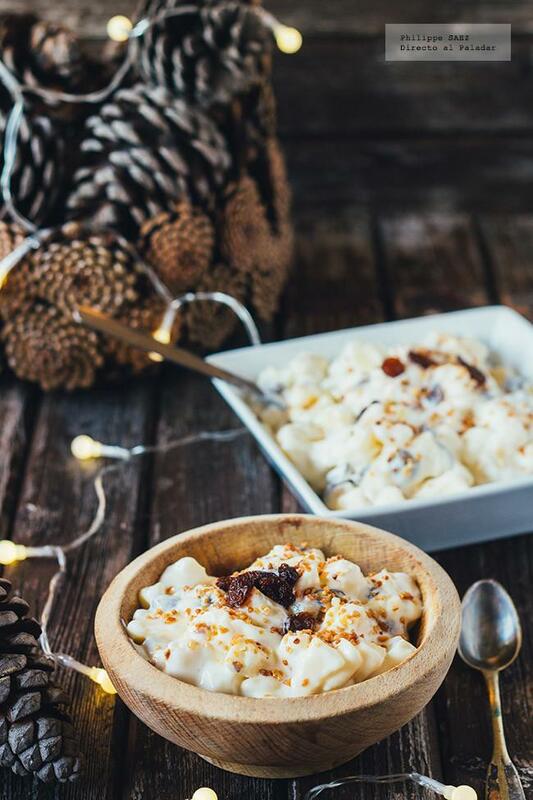 This Mexican salad made with apples and cream is served for Christmas. Cynthia Cuautle, a library assistant, said she enjoyed eating this growing up and her mom makes it for Christmas. This recipe is from Celebrity Chef Philippe Saez, Director of Directo al Paladar México, a magazine with all things Mexican food. Peel and chop apples finely. Set aside. Pour cream and condensed milk into a large bowl and beat vigorously. Add chopped apples, pineapple, raisins and walnuts. Saez recommends pairing with white wine. Tusk agrees and advises to drink responsibly. Who doesn’t want to be bougie? You deserve it after finals! 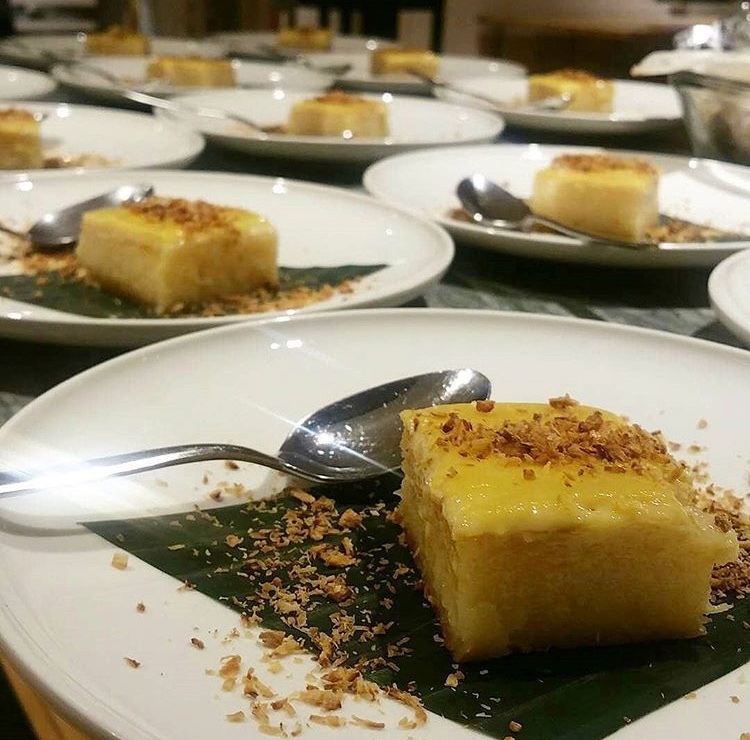 This Filipino staple is made with eggs, cassava and milk. It is enjoyed year-round and for the holidays. 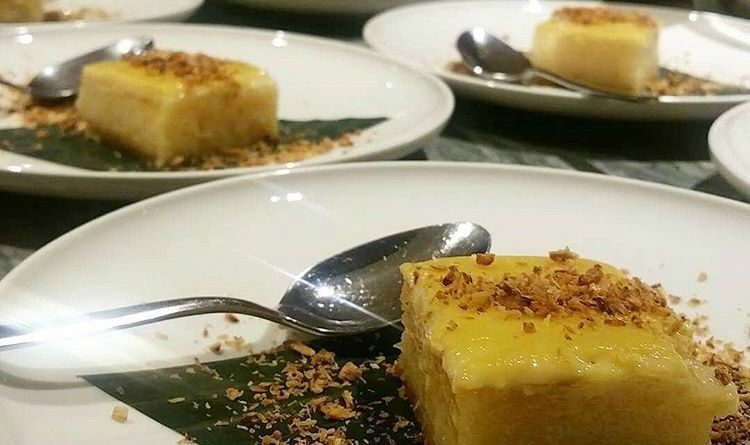 This recipe comes from Chef Eric Pascua, influenced in the kitchen by his Filipino grandparents. In a medium bowl combine egg yolks, condensed and evaporated milk and stir well. Using melted butter, grease a 13” x 9” baking pan. In a large bowl, combine sugar, grated cassava, coconut and condensed milk. Stir well and pour into greased baking pan. Bake at 350 F for 45 minutes to 1 hour. Test if done if a toothpick inserted comes out clean. Take cake out of oven and let cool. For topping, combine egg yolks, condensed and whole milk. Stir well. Pour mixture on top of cake. Place in oven, reduce temperature to 325° F. Bake until top lightly browns, 20-25 minutes. Allow cake to cool for 45 minutes. I can practically taste these yummy sounding treats from your wonderful descriptions and recipes! 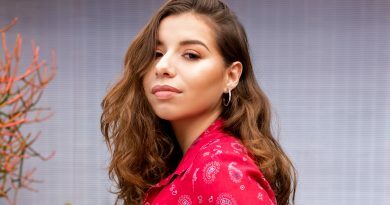 Really enjoyed reading this article, thanks!